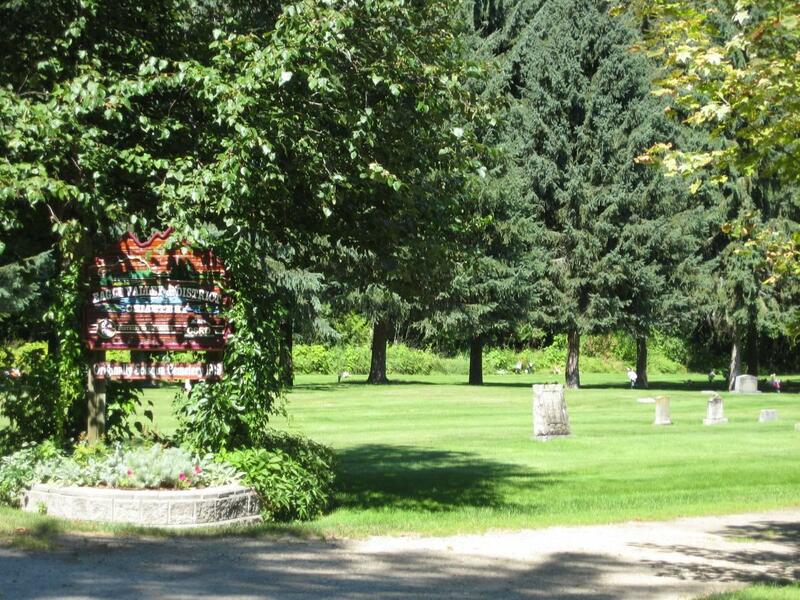 The following is a transcription of the Eagle Valley & District Cemetery located in Sicamous, British Columbia, Canada. 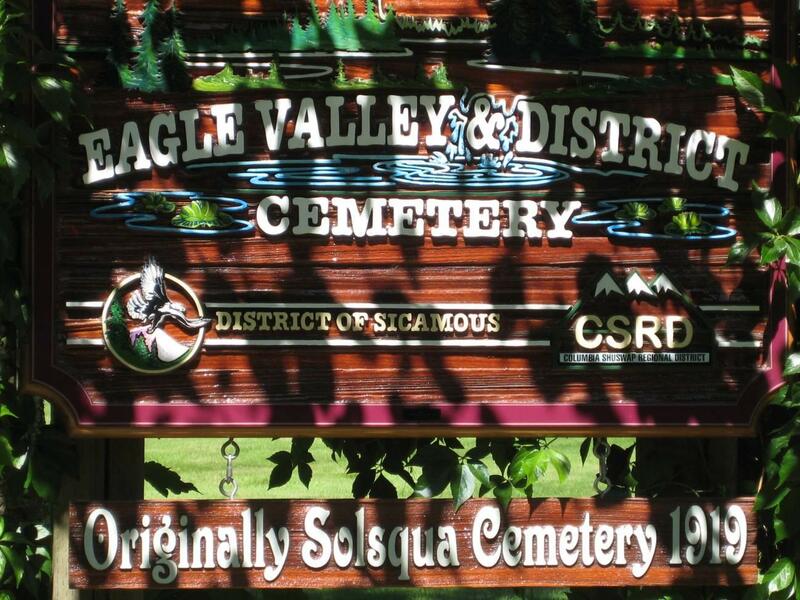 Latitude: 50o 52' 02.94" N.
Longitude: 118o 56' 43.11" W.
The Eagle Valley & District Cemetery originally called Solsqua Cemetery or the Solsqua-Cambie Cemetery, started in 1919 and is currently in use today. The land for the cemetery was donated by Percy Gosden. It was originally maintained by the Eagle Valley Cemetery Association with Allan Sims as Secretary. Mr. Sims was followed by Alver Holm as Secretary. The Sicamous Water District then took over administration and maintenance from the Eagle Valley Cemetery Association. The current body administrating and maintaining the Cemetery is the District of Sicamous. 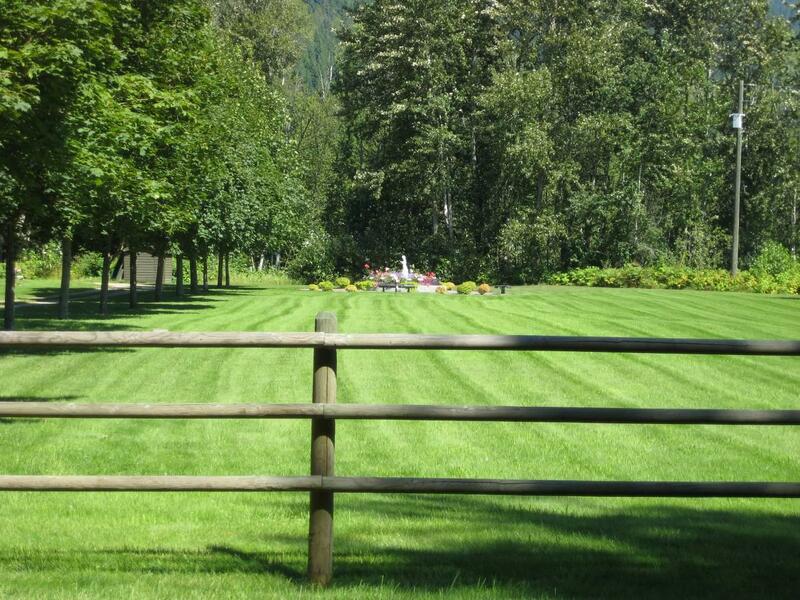 The cemetery is situated on 5 acres of very well maintained park-like land. 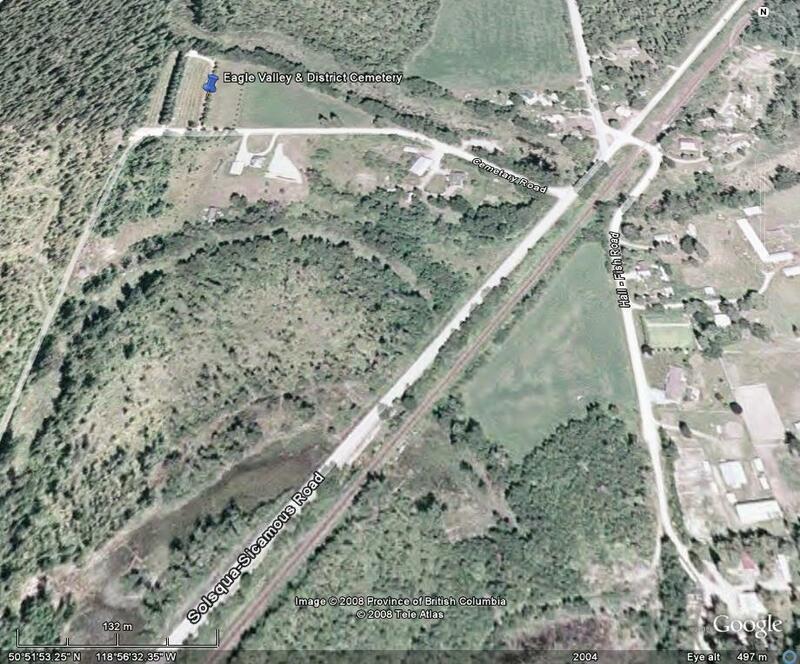 There is a rail fence on two sides and trees on the other two sides. It is open to the public with no gates. The graves are laid out in an east/west direction. There are a combination of markers, including upright raised markers and flat markers set flush with the ground. The marker composition is either slate, marble, concrete or wooden. Head north on Solsqua-Sicamous Road for 4.4 km (Solsqua-Sicamous Road is located approximately 230 metres east of the Highway 1 & Highway 97A intersection). Left on to Cemetery Road for 0.4 km. The Eagle Valley & District Cemetery is located on the right. Note that this listing may not be complete as there may be unmarked burials not included in the listing.